Touchwood Flooring is a hardwood flooring company built on pride and expertise. Our Edmonton based company offers exceptional, personalized service and quality products. We have a superb 1500 square foot showroom featuring many domestic hardwoods as well as our exclusive partnership with Hakwood in the Netherlands. We can provide many custom handcrafted products, precision-milled and expertly finished which are highlighted on our feature wall. We are proud of our knowledgeable staff and our own certified installation crews. We carry the most comprehensive installation warranty in Alberta. Hardwood has become the popular flooring choice in today’s market. Wood is a renewable resource that is a perfect choice for a busy home. It will provide a clean, easy care, non-allergenic surface to live on. Hardwood has a timeless beauty, which in most cases, will outlast the life of the house. Touchwood Flooring installs with pride each and every project we do, from the simple living room to entire main floors of estate homes with medallions and elaborate staircases. It is Touchwood’s objective to understand each client’s individual needs and suggest solutions that will result in “happy customers”. 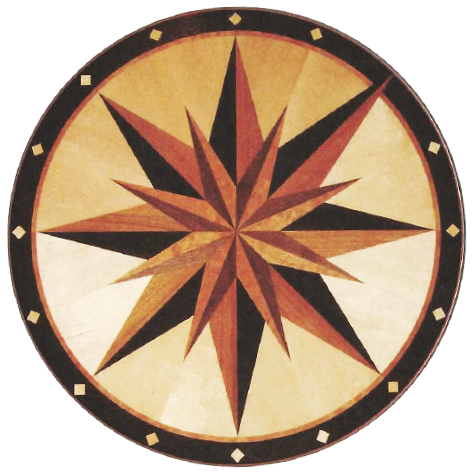 We educate our clients on the proper applications and properties of wood flooring and wooden accessories. We supply technical information from all our suppliers, and from such sources as the National Wood Flooring Association (NWFA), the National Oak Flooring Manufacturer’s Association (NOFMA) and the Canadian Lumberman’s Association (CLA). We buy only from suppliers that respect and follow the FSC (Forest Stewardship Certification) for the responsible harvesting and reforestation of hardwoods. Touchwood Flooring offers you an unmatched level of imagination, skill and experience.